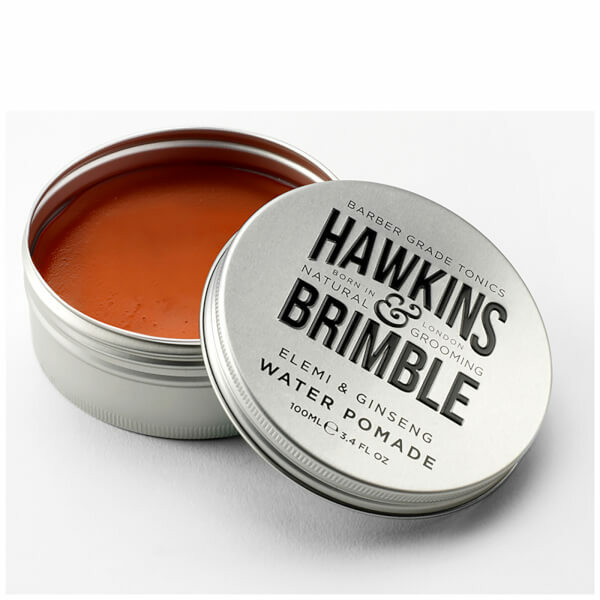 Achieve a sleek and slick look with the Hawkins & Brimble Water Pomade; an essential grooming product that has been revived from traditional barber grooming rituals. 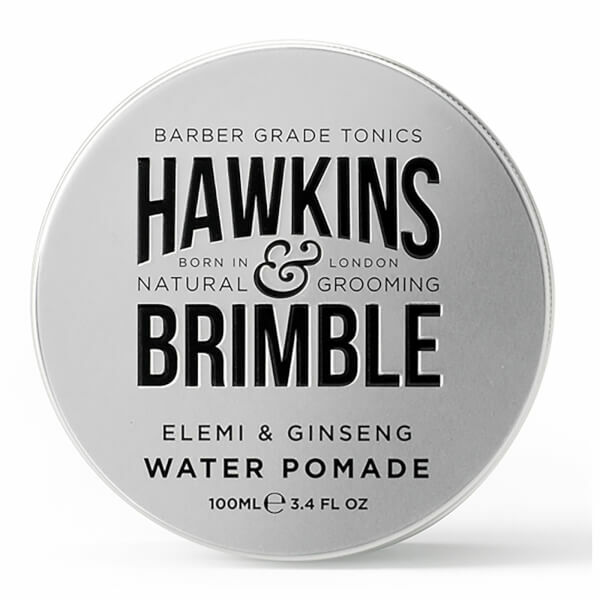 Distributing evenly though both damp and dry locks, the pomade assists in creating a multitude of smart and sharp styles. The lightweight formula is enriched with Wheat Peptides, which nourish the scalp, whilst keeping hair looking healthy and cared for. It is also infused with Tsubaki Oil to improve hairs condition and ensure locks appear soft, shiny and free from damage. 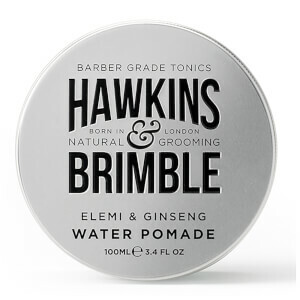 Without leaving hair looking greasy, the Water Pomade leaves hair sleek and in shape, with long-lasting effect. Free from parabens, colourants, SLS/SLES, mineral oils and animal testing. Apply to damp or dry hair. Work a small amount of water pomade between the fingers, run the fingers through the hair and style into desired shape. Contains nourishing Wheat Peptides to help nourish hair and skin. Aqua (Water), Ceteareth-25, PEG-7 Glyceryl Cocoate, PVP, Glycerin, Propylene Glycol, Phenoxyethanol, Sodium Benzoate, Polysorbate 20, PEG-75 Lanolin, Parfum (Fragrance), Citric Acid, Hydrolyzed Wheat Protein, PEG-90m, Caramel, Disodium EDTA, Linalool, Limonene, Benzyl Salicylate, Silica, Coumarin, BHT.